Rhodes is the original lady of well-being. Blessed with a long history it is demanding and mysterious. Actually it is the cosmopolitan priestess of joie de vivre in Dodecanese. Ethereal with wonderful architecture that is identified with its history it offers us so generously dozens of beaches, unique attractions, smiling faces, meeting points for the rich and famous, but also plenty of destinations for the rest of us who want to enjoy the island in all its dimensions. It has the potential to amaze us. The first date is not enough. I am sure that we will be back again and again. 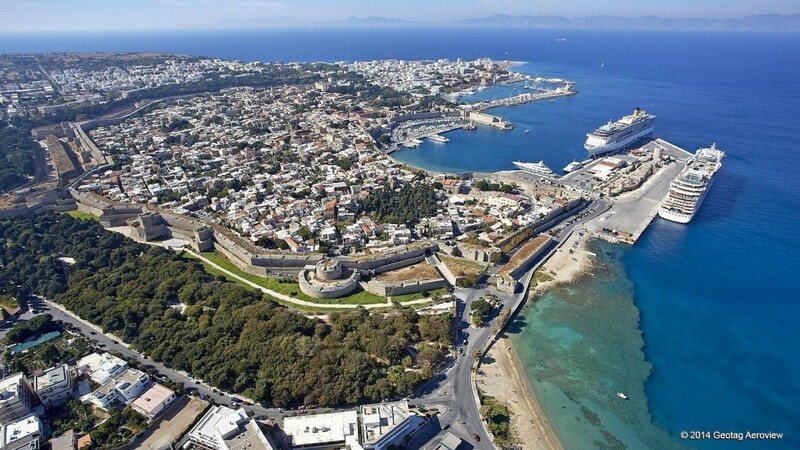 Its strategic position brought to the island great wealth and made the city of Rhodes one of the leading cities of the ancient Greek world. it’s all here: the Classical Period, the Roman, the Byzantine and the Knights' Period, the Ottoman, the Italian and the Modern Period. The atmospheric Old Town of Rhodes is a maze of cobbled streets that will spirit us back to the days of the Byzantine Empire and beyond. In 1988 the Old Town was designated as a World Heritage City. It is the result of different architectures belonging to various historic eras, predominantly those of the Knights of St. John. The Knights of St John, who controlled Rhodes during the 14th and 15th centuries, transformed the northern segment of the Old Town into their headquarters. Essentially an occupying army, the Knights took care to protect themselves from the local population as well as potential invaders, erecting a fortified palace. The Knights’ Quarter still stands apart from the residential and commercial districts of the Old Town. The architecture of the walled old town of Rhodes is dominated by the Western European style of the time and was mixed with local Aegean additions during the Knights period (1309-1522). To these unique styles of architecture elements were added by Muslim Turks who occupied the island in 1523. 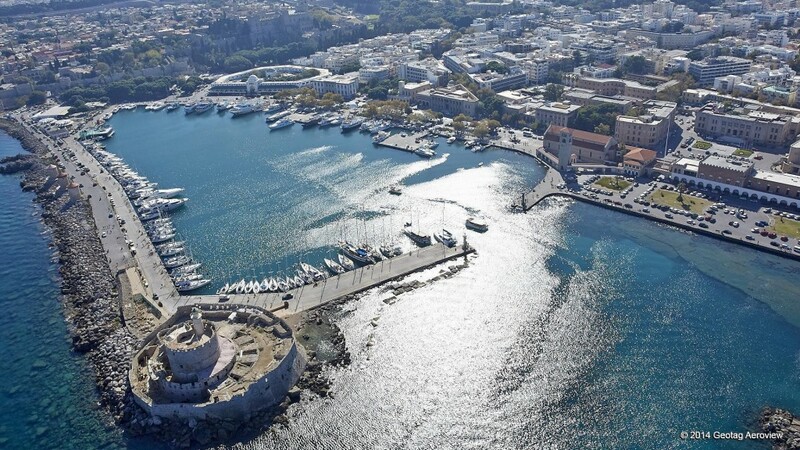 The old town of Rhodes then fell into the hands of the Italians who took the Island from the Turks in 1912, the ideal place to gather the monumental wealth of the Middle Ages. The specifics of the old town have the undeniable traces of the Knights of the phase, which, though often hidden beneath the Turkish alterations are highlighted and easily uncovered, making a unique case. It is protected by UNESCO as a World Heritage site. It includes such important monuments as the Grand Master’s Palace, the hospital of the Knights of the 14th century and the one of the 15th century, the Knights Street which accommodates the different “languages” of the Knights is the most well-preserved street in Europe, the Municipal Gallery of the Simi Square, the early Christian Baptistery, the old armory of the Knights, the ruins of the Temple of Aphrodite, the Suleiman Mosque and the Palace of Catellano. The Grand Masters Palace was built below the Acropolis of Ancient Rhodes where originally the Temple of the Sun God stood. In the same place, in the 7th century, there was also a Byzantine Palace, and then in the 14th century the Knights of St John built the palace as the residence of the Grand Master as an administrative center. It was destroyed in 1856 by a large explosion of gunpowder. The interior as we see it today is an Italian reconstruction, completed in the '18th year of the Fascist Era' (1940). The dreary magisterial chambers upstairs hold haphazard looted artworks, so the most interesting section is the exhibit on ancient Rhodes downstairs. As well as the historical interests that draw many visitors, the Old Town also hosts a wide variety of hotels, shops, restaurants, bars and nightclubs. The Rodini Park is a paradise located on Rhodes Lindos Avenue, 3 kilometers from Rhodes Town. It is one of the oldest parks in the world and known for its lush and diverse vegetation. The bridges, wonderful trails and ponds filled with water lilies, make up the idyllic landscape filled with rare plants and small zoo. The peacocks that move freely around are an added attraction for visitors. Pack a hat and some water, as there’s no shade at the top and enjoy Lindos. 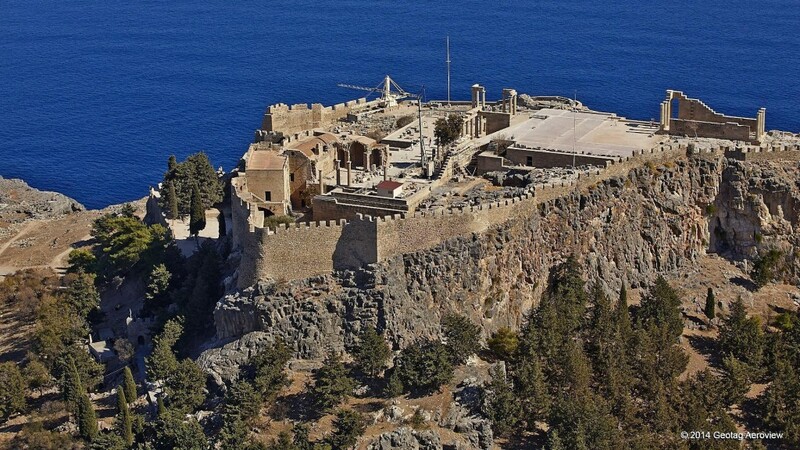 A steep footpath climbs the 116m-high rock above Lindos to reach the beautifully preserved Acropolis. First walled in the 6th century BC, the clifftop is now enclosed by battlements constructed by the Knights of St John. Once within, we are confronted by stunning ancient remains that include a Temple to Athena Lindia and a 20-columned Hellenistic stoa . The stark white columns are dazzling, while the long-range coastal views are out of this world. Located 25 kilometers away from the city of Rhodes Petaloudes (is better known as the Valley of the Butterflies) is in this rare habitat that the butterfly Panaxia Quadripunctaria makes its appearance from mid June to mid September. Following the specially designed trails and wooden bridges, we can view the incredible beauty of the ponds filled with water lilies, waterfalls, vegetation, crystal waters and enjoy this unique natural phenomenon. In summer the whole place is choking with tour buses. Out of season, we ’ll likely have the gorgeous forest path, streams and pools to ourself – but no butterflies. The New Town’s modest aquarium is housed in an art deco building that was constructed by the Italians in the 1930s as a biological research station. While it doesn't have the large tanks we might expect, it’s not bad for younger kids, with the interior imaginatively kitted out to resemble an underwater cave, and touch tanks where we can lay hands on rays, starfish and other squirming sea beasts. Beaches of Rhodes are amazing and cover all needs. Whether we are looking for small, calm beaches or for large, well-organized coasts there are plenty of choices. You can pick one … Ialysos, Charaki, Faliraki, Ixia, Koskinou, Lafandou, Thermes, Kallithea, Vlychos, Lindos, Pefka, Istros, Vigla. 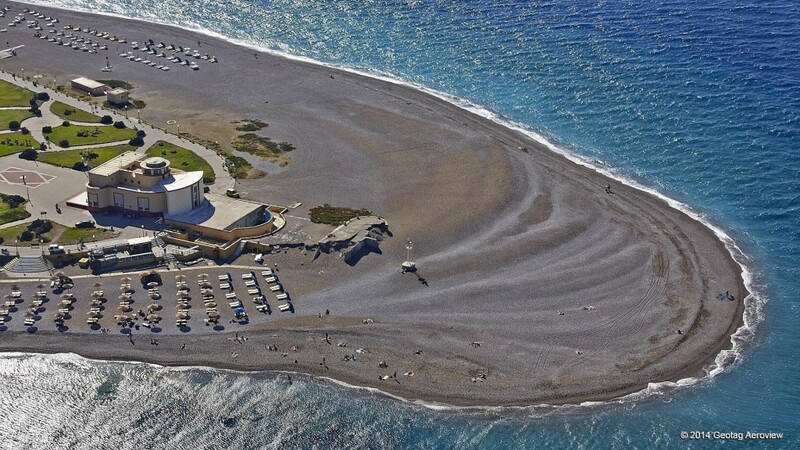 For more detailed information read our article “Top ten beaches in Rhodes”. 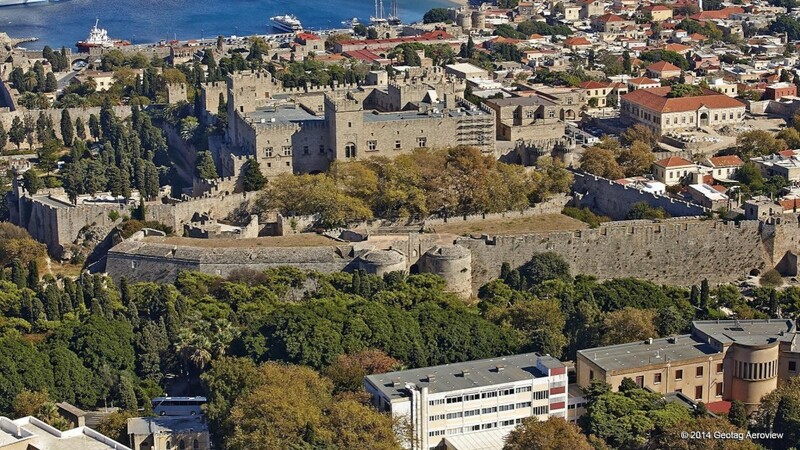 Rhodes can become the destination that remains in the heart of every child. Hotels with facilities and equipment for various forms of activities for children, a city with numerous parks and beautiful beaches with sand and shallow waters and water sports facilities of all kinds (water skiing, windsurfing, parasailing and others) throughout the island, create a picture of a dream holiday for families. We should try: Aquarium of Rhodes, Old Town, Valley of the Butterflies, Rodini Park, The Bee museum and Water Park in Faliraki. For all of us that we like sailing and yachting a well organized marina is available in Mandraki. 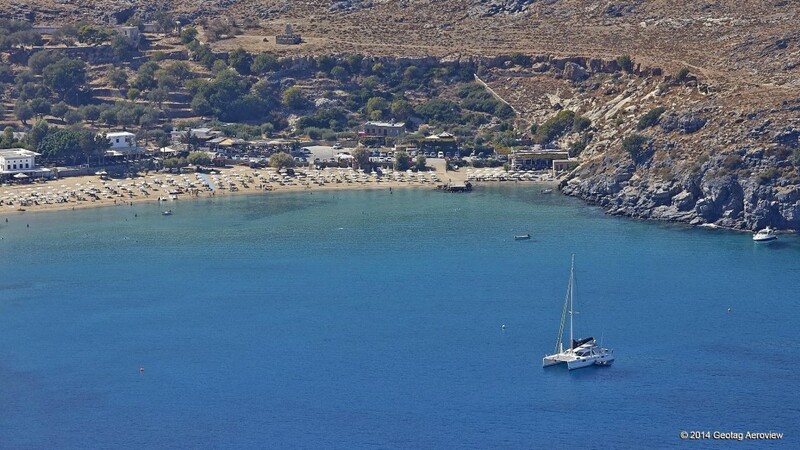 Furthermore there is a big number of calm anchorages around the island where we can enjoy blue crystal waters of Rhodes. 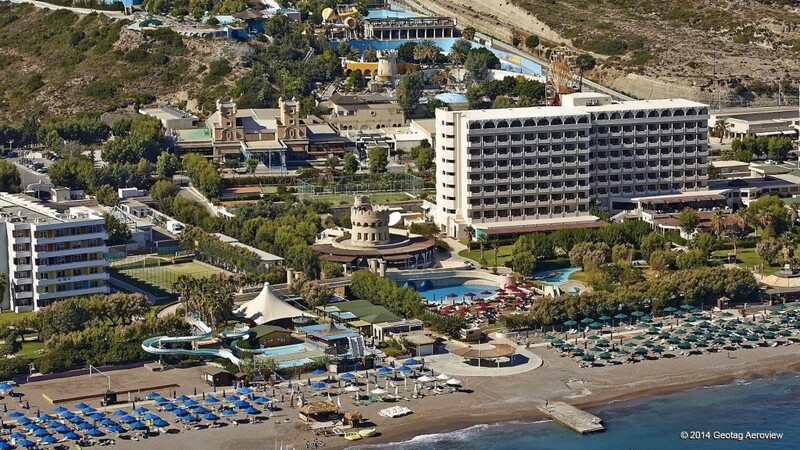 The island of Rhodes offers a variety of water sports in many places around the island. Enjoy windsurfing, diving, scuba diving, sailing, moto sports, water hoppers and other in Elli, Mandraki, Ixia, Ialysos, Kolymbia, Faliraki, Kallithea. 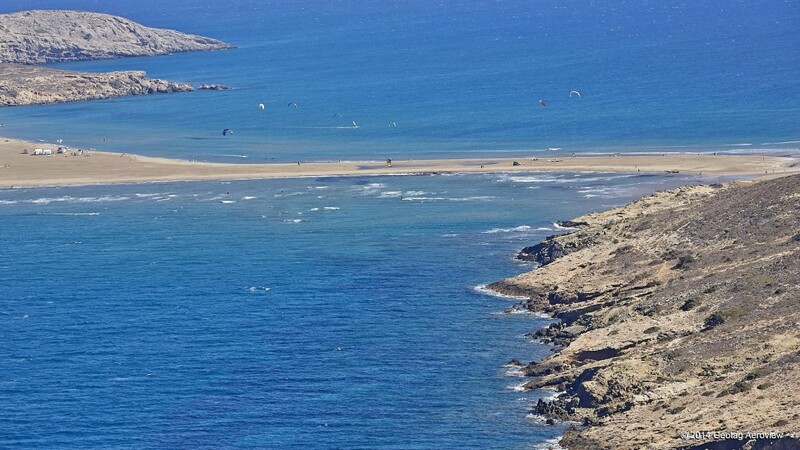 The fans of windsurfing will find their paradise in Prassonissi, which is located at the southernmost part of the island, 90 kilometers from the city of Rhodes. Strong winds and wavy water conditions makes this the perfect spot for freestylers, racers and Kite surfers. We can also experience windsurfing in Ixia, Ialysos, Kolymbia, Faliraki. Rhodes is famous for its nightlife. More than famous, it is notorious. Places like Faliraki were featured on international television for the behavior of the young people there. Still, the bars and clubs are not jammed with people except during high-season. That means we can walk down the street and find a place that plays the kind of music we like and probably be able to have a drink and a conversation and maybe even dance. Rhodes is a hip city and there is an ever changing list of popular clubs, concerts and a whole street full of cool bars. Young people staying in Rhodes town still go to Faliraki for nightlife too and we can arrange a taxi to take us there and bring us back for a few Euro.